We are a gorgeously elegant and intimate bridal boutique situated by the historic Saturday Market Place in the market town of Kings Lynn, Norfolk. When you book your appointment at the Boutique, you have the pleasure of being able to peruse the most beautiful and stunning of gowns and accessories whilst receiving our full and undivided attention as The Boutique is exclusively yours for your entire appointment. During that time, we are on hand to offer you our guidance and advice, not only for choosing your gown and accessories but for all aspects of your wedding planning as throughout my many years as a Wedding Planner, I have a lot of experience with many other local wedding suppliers! It is The Bottom Drawer's goal to offer something a little different. We want to be able to provide you with a luxury experience in excellent surroundings. We strive to ensure that the brands we work with are all UK based brands and that the gowns we stock are brilliantly designed and made to the highest of standards. We hope to see you in the boutique soon! The Bottom Drawer Bridal Boutique is owned by mother and daughter team, Lyanne and Victoria; and run by Victoria. 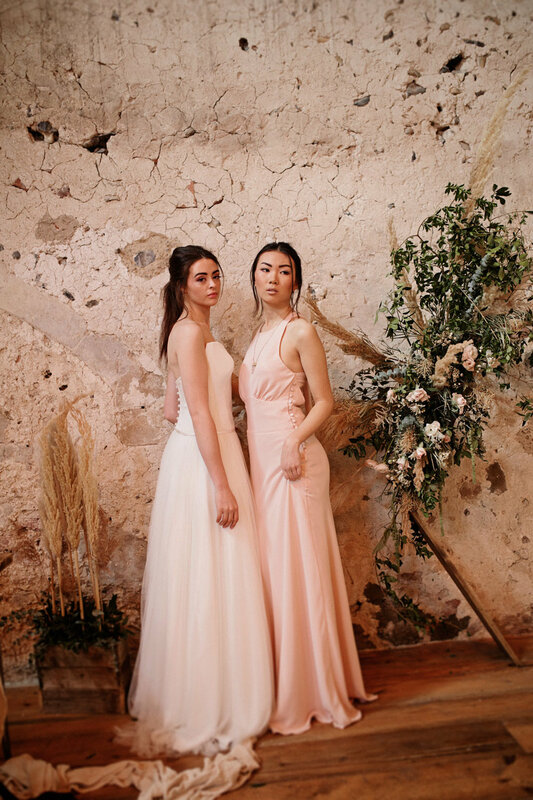 I have always had a passion for fashion and styling and after working for so long in the Wedding industry I have fallen in love with bridal fashion! After struggling to find my own wedding gown back in 2011 and eventually travelling many miles to get it, it inspired me to one day open my own bridal boutique. After having my two gorgeous children, it seemed there's no better time to finally get the ball rolling and follow my dream. With the help of my mum and family, I am so pleased and proud to finally be introducing you to The Bottom Drawer Bridal Boutique. Here at the boutique we pride ourselves on giving brides the most perfect experience from the minute you step in the door until the big day and beyond. We are very much looking forward to sharing this wonderful journey with you and look forward to meeting you soon! A contemporary, minimal shoot with modern feminine fashion. Luxe but simple details with striking honeycomb structures with wild and untamed florals. Wild Bohemia; full of natural, unruly beauty. For those free spirited brides and boys who dream of walking bare-foot up the aisle on battered Persian rugs. 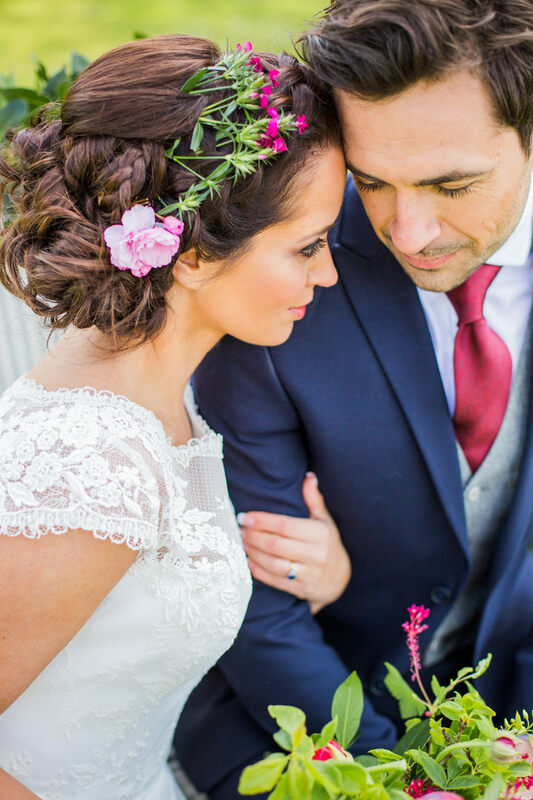 Styled outside in the untouched setting of Godwick, Norfolk, the shoot was a collaboration of suppliers from The Most Unusual Wedding fair held in November. We do love an inspiration shoot where white and greens take centre stage. Especially when they are jazzed up with a dash of metallics for good measure. This shoot is stylish, modern and very, very pinnable.